View our range of products, supplied directly by IPA. 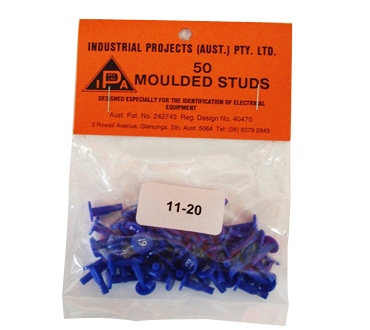 Boxes of 50 studs with a letter A to Z or a number 0 to 150. Available in red, blue or black with white printing or white with black printing. 5 each of 10 consecutive numbers. A cost effective alternative for small jobs. Off the shelf in, 1-10, 11-20, 21-30 and so on up to 140-150. 2250 studs in a study ‘Plano’ tackle box (28cms x 19cms x 5cms) with 50 studs of each number 1 - 15 in red, white and blue. 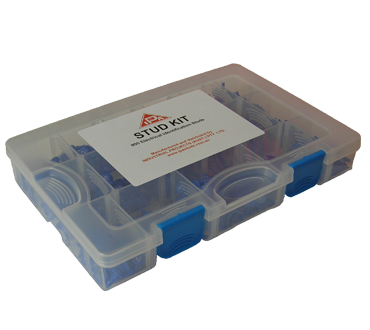 The stud kit is the smart storage choice that enables wholesalers to supply individual studs to their customers while storing the studs neatly and conveniently. 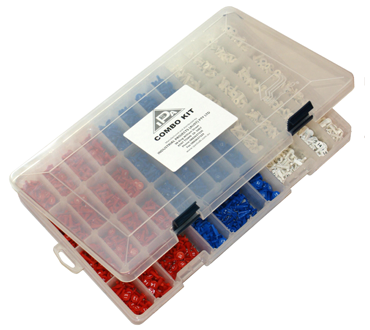 24 Stud Kit 1200 studs in a sturdy tackle box (36cms x 22cms x 5cms) with 50 studs of each number 1 - 18 in red, white, blue and black. Off the shelf in numbers 1-8, 9-16, 17-24 and so on up to -100. 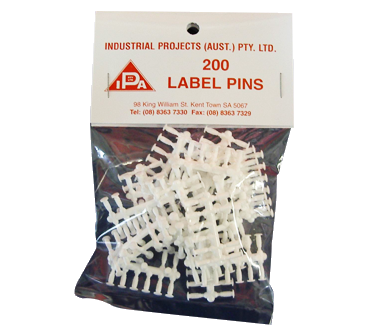 Packs of 200 label pins for fixing labels and signs to switchboards. Custom prints containing any combination of one to three alpha-numerics or special characters. 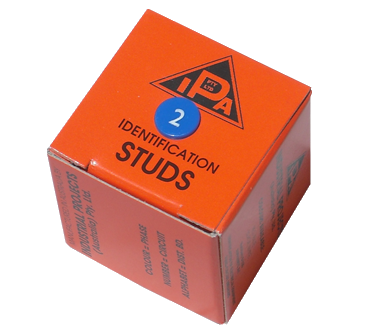 Stud colours available are red, blue black, white, yellow, green, orange and grey. Print colours available are white, black and red.